We supply to more than 60 countries, the products enjoy high reputation all over the world. 1.Are you manufacturer 9 Yes, we are manufacturer of humate organic fertilizers. 3.Could we visit factory 9 Yes, we welcome you to visit our factory any time. 3. Improving quality: Biochemical fulvic acid promotes the formation of starch, protein, sugar, vitamin and other organic nutrients in crops. 4. Enhance resilience: It can reduce the stomatal opening of crops and reduce the transpiration of crops, thus improving the drought resistance of crops. 4. How long is the leading time9 A: In 15 days, many products we have stock, can send to you once receive the payment. 2 Our product is concentrated under high temperature and spray-dried into powder with spray tower. For Plant: &bull; Directly influence the metabolism of cell, improve the efficiency of plants breathing and photosynthesis. &bull;Enhancing the resilience of crops, such as cold, drought, pest, disease and toppling resistance. Soil application: 15-30 litres/ha divided into several doses during season (5-10 litres/ha per time). Vegetables Fruit trees nurseries,gardening, landscaping, lawns Liquid fertilisation (hydroculture) 10-20L/1000 litres fertiliser solution. Seed treatment Submersion of seed in a 0.2% solution (20mL/10 litres water), for approximately 5 hours, then dry. The humic and fulvic acid molecules stabilize the chemical fertilizers in the soil, decreasing the typical 50-80% loss that occurs in most situations. There is also the beneficial component that humic acid acts to bind with and break down chemical residues in the soil, decreasing their long term negative impact. Humic and fulvic acid contains oxygen in its molecular structure, and provides this oxyge n t o beneficial soil biology, even if the soil itself is very low in oxygen.
" We will always adhere to the honest and credible managing style, and remain the most reliable partner of customers. We have developed three series of products, Humate series, Fulvate series and Humate organic fertilizer series with more than 20 types of products. : 1.Are you manufacturer 9 Yes, we are manufacturer of humate organic fertilizers. Potassium fulvic acid application For Cotton FulvoMax improves the stress tolerance of cotton, prevents and treats yellow wilt of cotton and improves cotton yield. For Vegetable FulvoMax improves vegetable resistance ability, stimulates the growth of vegetables and increases crop photosynthesis. For Fruits FulvoMax strengthens the fruit tree roots, improves the utilization rate of fertilizer and improves fruit quality and sweetness. 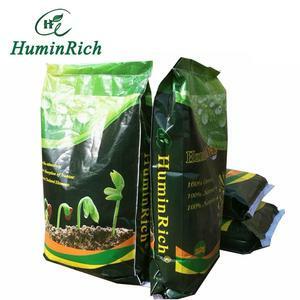 Dosage for single application: Water flush:1-1.5kg/ha Drip Irrigation:0.6-1.2kg/ha Foliar:0.3-0.9kg/ha, dilute at 800 times Topdressing: 1 time, at vigorous growth period for leaf vegetable. Dosage for single application: Water flush:3-4.5kg/ha Drip irrigation: 0.6-1.2kg/ha Foliar:0.6-0.9kg/ha, Dilute at 800 times Pasture Topdressing: 2 times, Dosage for single application: Water flush:3-4.5kg/ha Drip irrigation: 2-3kg/ha Foliar:0.3-0.6kg/ha, Dilute at 800 times 1. Act as effective plant growth enhancer 2. Activate biological enzyme system of plant, the carboxyl functional group in super potassium humate can activate coenzyme, accelerate enzymatic reaction, promote metabolism and improve biological activity. 3. Improve efficiency of nutritional absorption by plant leaves 4. Promote Photosynthesis, accelerate the synthesis of photosynthesis pigment, increase the content of chlorophyll a in particular, and enhance the photosynthetic rate. Please spray it before 10am or after 4pm so that the plant will have the best absorption. Spray again if there is rain 6 hours after having sprayed. 2. The intervals for using should not be less than 7 days. 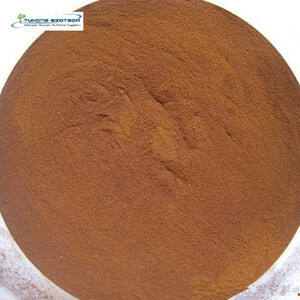 Alibaba.com offers 2,757 potassium fulvic acid products. About 83% of these are organic fertilizer, 1% are other agrochemicals & pesticide. A wide variety of potassium fulvic acid options are available to you, such as humic acid, manure, and compost. You can also choose from powder, liquid, and granular. As well as from quick, controlled, and slow. And whether potassium fulvic acid is free samples, or paid samples. There are 2,755 potassium fulvic acid suppliers, mainly located in Asia. The top supplying countries are China (Mainland), Malaysia, and Turkey, which supply 98%, 1%, and 1% of potassium fulvic acid respectively. Potassium fulvic acid products are most popular in South Asia, Mid East, and Southeast Asia. You can ensure product safety by selecting from certified suppliers, including 802 with ISO9001, 78 with ISO14001, and 11 with Other certification.